The word “bubble” is thrown around in the finance world, and if you’re wondering what it means, it is simply the cycle created by the fast escalation of asset prices followed by a contraction. The bubble deflates when investors cease to buy at elevated prices and massive sell-offs occur. As for bitcoin, yes it is a bubble, and it indeed popped. 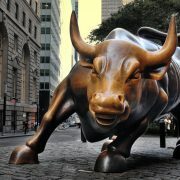 The market is expected to calm down a bit after the Crypto bubble and cryptocurrency trading will remain profitable. Retailers are starting to accept cryptocurrency as payment. 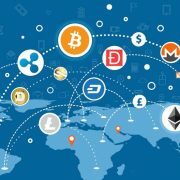 At this point in time, including cryptocurrency in the list of payment methods can potentially boost income, in the same way that establishments that accept credit cards do have a wider reach than those who do not. Now you can book flights, purchase household goods, get web domains, buy computer products, and so much more with bitcoin. As of December 2018, more travel services, web services, food, and general merchandise have started to accept bitcoin payments. Those with a Microsoft account, for example, have the “Redeem Bitcoin” option upon checkout and can add up to $100 at a time via Bitpay. In the recent years, crypto traders and holders have seen security threats such as phishing and mining malware. Cryptocurrencies, in theory, are secure; however, we expect that new crypto exchanges and platforms will bring about new cybersecurity threats and challenges. The blockchain industry has always been associated with cryptocurrency, and in 2019, it is expected to work on its image as an industry that has a lot more to offer. If the industry wants to operate on a larger scale, it needs to be communicated that the blockchain technology has a lot of uses that are unrelated to cryptocurrency. 2019 is set to be the year of more widespread, formal, and international crypto regulation. In cryptocurrency news this year, Malta became the first country to have a clear regulatory framework for cryptocurrencies. Countries such as Russia and India have also begun to draft national legislation for cryptocurrencies; and we expect other countries to follow suit – giving way for cryptocurrency to become more legitimate. Preventing money laundering, fraud, and terrorist funding is a prime motivation in putting these regulations in place. If cryptocurrencies are safely policed, more and more people will be confident to use and adopt them. None of the content on https://www.hoganinjury.com/ is legal advice nor is it a replacement for advice from a certified lawyer. Please consult a legal professional for further information. Research. – Just like with any other investments that you will make, research is essential. When investing in an ICO, make sure to read and dissect their white papers to ensure that you’re working with reliable people. Take time to research the people behind the ICO, their whole team, board members, and other investors. It’s vital for you to learn as much as you can about the company before investing so that there will be no unpleasant surprises. Be vigilant. – Cryptocurrency is still primarily bought and sold at exchanges. Because cryptocurrency is something new and the fuss around it is its value, many people get scammed by the promise of unrealistic prices. If an exchange promises incredible discounts or offers that seem too good to be true, it probably is. Another thing that you can do to avoid bitcoin exchange scams is to check the exchange’s URL. If a website’s address starts with HTTPS instead of just HTTP, that means that the traffic is encrypted and therefore has more protection. Only use trusted sources. – Hardware wallet is a physical device that stores your private keys. Hardware wallets offer more protection from hacking since there is no way for hackers to access them when you’re not online. However, hackers have now found a way around that. Some hackers sell hardware wallets that have a backdoor for them to access all your cryptocurrency and the best way to avoid this is only to accept hardware wallets from trusted sources. The cryptocurrency industry in India has been somewhat precarious lately, with a great deal of uncertainty regarding its future. A small glimmer of hope for the future global currency is starting to shine, however, from an unlikely source. Cryptocurrency was listed as a legal payment option last month in legislation being considered to legalize sports gambling in the country. In a report entitled “Legal Framework: Gambling and Sports Betting including Cricket in India,” the Law Commission of India (LCI) is considering digital payments – including crypto – in preparation of the legalization of sports gambling. The report was drafted following investigations by police into allegations of million-dollar bets on the part of the Indian Premier League (IPL), which discovered that IPL cricket matches were the target of “black money” for gambling, effectively bypassing the government’s attempts to control illegal gambling. Upon the revelation that the controls were ineffective, Indian Supreme Court judges submitted a proposal to legalize sports gambling in the country. It appointed the Lodha Committee, in conjunction with the Board of Control for Cricket India, to explore the recommendation. The committee reported that there is a distinct, but subtle, boundary between recreational betting and match fixing. It asserted that it would be possible for match fixing to still be illegal while making recreational betting a legal activity that could help to generate tax revenue. The crypto community had expected to hear the court’s decision on the subject of cryptocurrency this month. However, they will now have to wait until September 11 at the earliest. The year 2018 has been off to a bad start for all cryptocurrencies. Whereas some people already despair, good things will come to Bitcoin and altcoins. 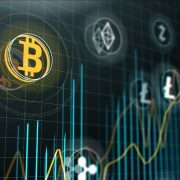 Various experts are convinced all of the top currencies will mount a strong comeback during late 2018. It is always important to keep the bigger picture in mind. Over the past seven days, all top currencies lost a fair amount of value. Declines range from 11.6% to 15.9%, with Ethereum getting the worst of it. Additionally, over 80% of the top 100 currencies ranked by market cap have decreased in value over the past week. Bitcoin is dragging everything down, as it always has in the past. This trend will not relent until the Bitcoin price effectively recovers the lost ground. This is where things will get interesting later this year. It is not the first time Bitcoin has gone through a lengthy bearish cycle. At one point, the value per BTC dropped by almost 99%. Surviving that proved to be rather easy, hence this current dip doesn’t seem too problematic. These are still the very early stages for Bitcoin and other cryptocurrencies. Several things are going Bitcoin’s way as of right now. The launch of ETFs allows institutional investors to speculate on cryptocurrencies. Although the demand seems rather low right now, things are gradually improving. With a regulatory body to be formed for these products, things can only improve from here on out. Speaking of regulation, Bitcoin is still a hot topic among government officials. Any regulatory measure will legitimize the cryptocurrency industry as a whole. Not everyone is in favor of this particular trend, though, but it is a “necessary evil” to take this form of money mainstream in the future. Currencies other than Bitcoin are still evolving as well. Ethereum is set to undergo some big changes, including a switch to proof-of-stake. Additionally, there are rumors Vitalik Buterin may effectively introduce a hard cap supply for Ether. Ripple is still making inroads in the financial sector as well. Litecoin has seen a few setbacks due to Litepay falling apart, but the currency will bounce back eventually. The head of the Bank of International Settlements (BIS) has warned that central banks must be prepared to act against cryptocurrencies, which he labeled “a bubble, a Ponzi scheme and an environmental disaster”. Agustin Carstens, the general manager of the BIS, said bitcoin raises concerns about consumer and investor protection. “Appropriate authorities have a duty to educate and protect investors and consumers, and need to be prepared to act,” Carstens said during a speech in Frankfurt. 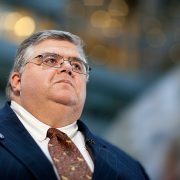 Carstens said digital tokens “masquerading as currencies” must not subvert trust in central banks. ​He described bitcoin as “a combination of a bubble, a Ponzi scheme and an environmental disaster”, with his last point in reference to the huge amount of energy it takes to create the cryptocurrency. 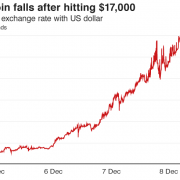 Bitcoin’s price has tanked in the past week, and on Sunday it dropped below $8,000 a coin for the first time since it surpassed that level in November 2017. The asset has been under pressure since the start of the year as the threat of regulatory crackdowns around the world weigh. Despite the drop in price and the chorus of “cryptocurrency naysayers”, the bitcoin market is actually maturing, according to David Coker, the former vice president of global risk management at Deutsche Bank. He explained that the decisions by Lloyds Bank and Virgin Money yesterday to ban credit card purchases of bitcoin and other cryptocurrencies were taken with the view that bitcoin represents a new asset class, exhibiting characteristics of both commodities and currencies. 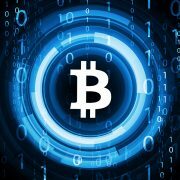 “Viewed from this perspective, prohibiting credit card customers from charging their purchases of bitcoin makes good sense and is a sign that the market is adapting to the peculiarities of cryptocurrencies, without the need for top down regulation,” said Coker, who now works as a lecturer at the University of Westminster. The price dipped back below $8,000 on Sunday morning after briefly surpassing $9,000 earlier on Saturday, the latter being a week high. Bitcoin has lost more than half its value since hitting an all-time high of more than $19,000 at the end of last year. The cryptocurrency has landed in the sights of regulators in recent weeks, dampening some of the appetite among investors. Last week Lloyds became the first major bank in the UK to ban the buying of bitcoin with its credit cards. And Irish banks are the latest to be revealed to be monitoring the situation, following on from others in the UK. An official from the ECB called it a gold rush with no gold, while finance heads in France and Germany called for a crackdown.